These presentation slides 42627 are complete compatible with Google Slides. Simple download PPTX and open the template in Google Slides. Don’t miss a chance to use this cool eco template. It is a perfect way to visualize such aspects as ecological issues, alternative energy, pollution, nature protection, water saving and so on. Made in a cool modern style, this sample is represented with multiple graphs and scales with icons, clouds, charts and a world map. 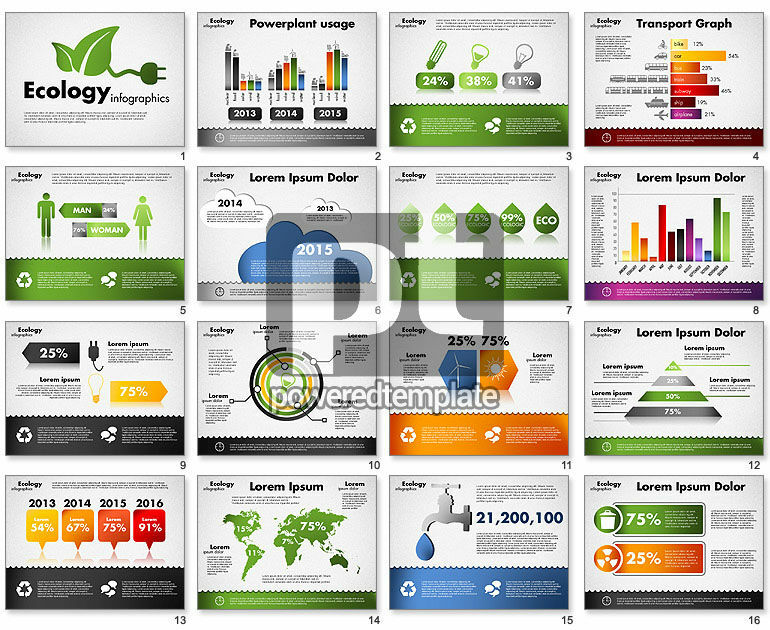 This set will look great for presentations devoted to saving our planet.